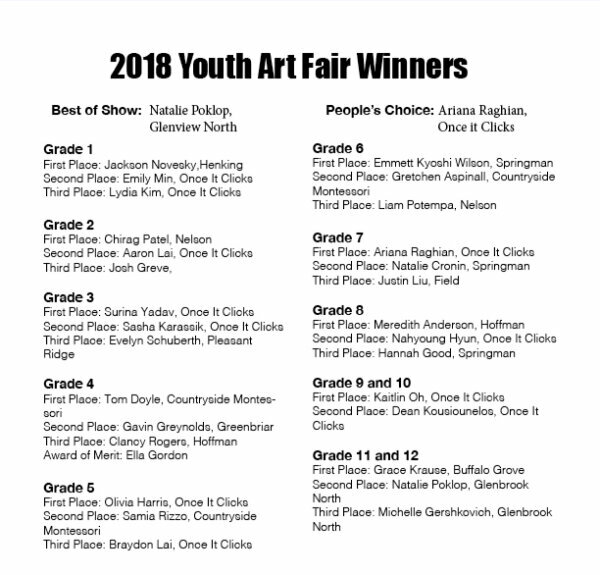 The Glenview Art League’s 29th Annual Youth Art Fair took place on February 17, 2018 at Attea Middle School! New for 2018: GAL collected new art supply for local kids in need! Donations were distributed through the Northfield Township Food Pantry.